That’s a tough assignment. Vengeance is the pressure of the past upon the present. A dark thing done needs doing again, by way of remembrance and retaliation. The Ghost’s “Remember me” does not ask for mere affection; it insists on action. To remember must mean to kill. Part of what has made Hamlet unique on the world’s stage is the sheer heft and power of the remembering it entails for everyone involved: for the characters and actors on the stage; for the play’s first audiences in the early seventeenth century; and for us now, four centuries and more down the line. The play’s earliest performances likely entailed another layer of memory. Strong tradition holds that the role of the Ghost was first performed by Shakespeare himself. Resonant casting: Shakespeare’s own son Hamnet had died, about a year earlier, at ten years old. If tradition tells true, then (as James Joyce suggests hauntingly at the midpoint of Ulysses) Shakespeare, the living father of a dead son, had chosen to write and perform the role of a dead father addressing a living son with a near-identical name. Most of the cast—and perhaps even some in the audience—would have known of the playwright’s loss—and would have felt its additional undertow. But Shakespeare had also built into Hamlet more public, less personal memories—rooted in a play that all theatergoers already knew on their own pulses. Twelve years earlier, the playwright Thomas Kyd had created, in his Spanish Tragedy, the period’s very first revenge play, and its most lasting hit. In retrospect, The Spanish Tragedy reads like Hamlet mirrored and reversed: a father must avenge his son (Horatio! ), who has been murdered, like King Hamlet, in a garden. Two women—the slain son’s mother and his lover—commit suicide (and the mother runs mad before she does so). The avenging father intermittently runs mad, and then puts on a play in order to entrap his enemies; the bloodbath at the Tragedy’s end became the benchmark for all the revenge tragedies to come. Hamlet’s first audiences could not have watched any moment of Shakespeare’s play without remembering Kyd’s. Shakespeare was giving them something they already adored, and trying at the same time to make it new at every turn. His chief tactic was expansion. Kyd’s protagonist must simply decide whether, when, and how to accomplish his revenge. Hamlet, by contrast, parleys the practical problems of vengeance into questions of human essence and existence: whether to do or not to do; to be or not to be. 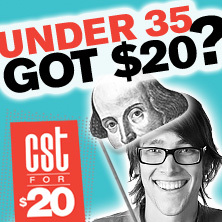 Shakespeare’s expansive tactics certainly succeeded in the long run (because, well, here we are), but not in the short. Kyd’s play, all but unknown to us these days, emphatically outdrew Hamlet at the box office throughout Shakespeare’s lifetime. Nowadays, when we watch Hamlet, we are likely to remember not other plays but other, earlier performances of this one. All those films and videos; all the live performances you may have caught at sundry lifepoints; not to mention all the times we and our friends have quoted the play, intentionally or incidentally (since its lines suffuse our culture, even when we’re not sure of their source). On the line’s surface, that “globe” is the skull where memory resides. But Shakespeare has layered an intensely present-tense pun: Hamlet was one of the first plays produced at the new Globe, whose sole in-house playwright here quietly savors his power to “distract” (excite, animate) audiences, seated and standing, beyond anything in their experience or expectations. Hamlet insists that the Ghost (and perhaps Shakespeare too?) will be remembered—that the theater won’t forget. True enough. Playgoing furnishes a kind of pause-point in our real lives, poised between the past that frets our memories, and the future that demands our actions. Small wonder, then, that perhaps the most hypnotic play of all perches itself at that point where aching memories abound, and what’s to come is still unsure.